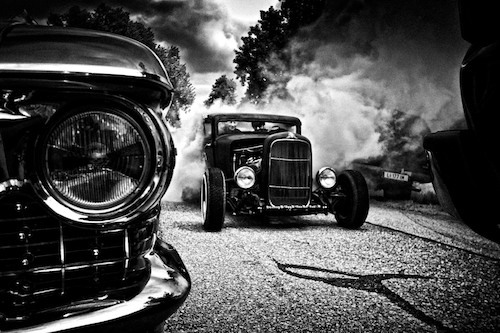 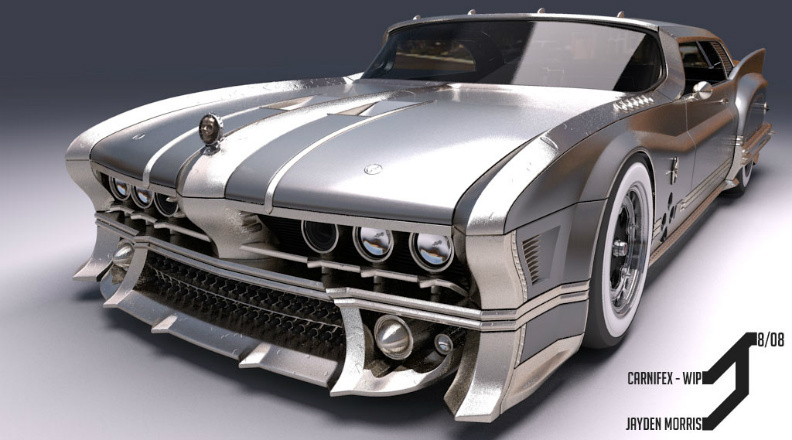 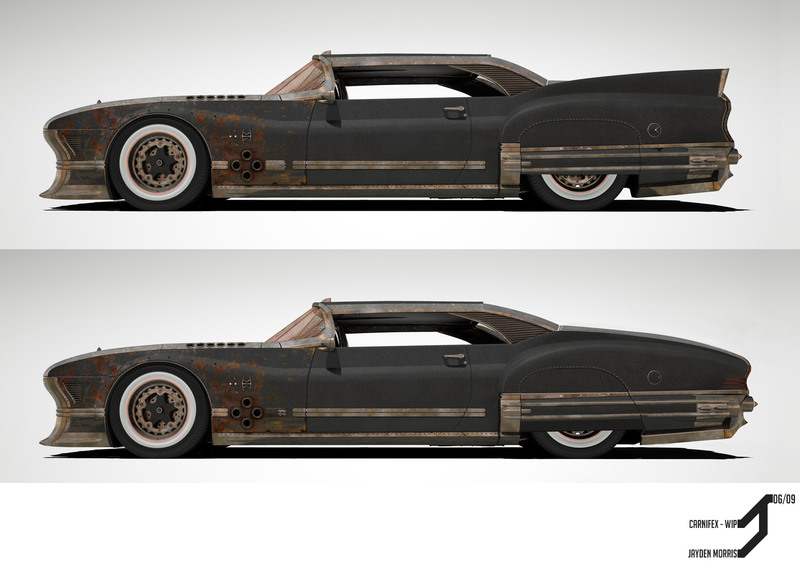 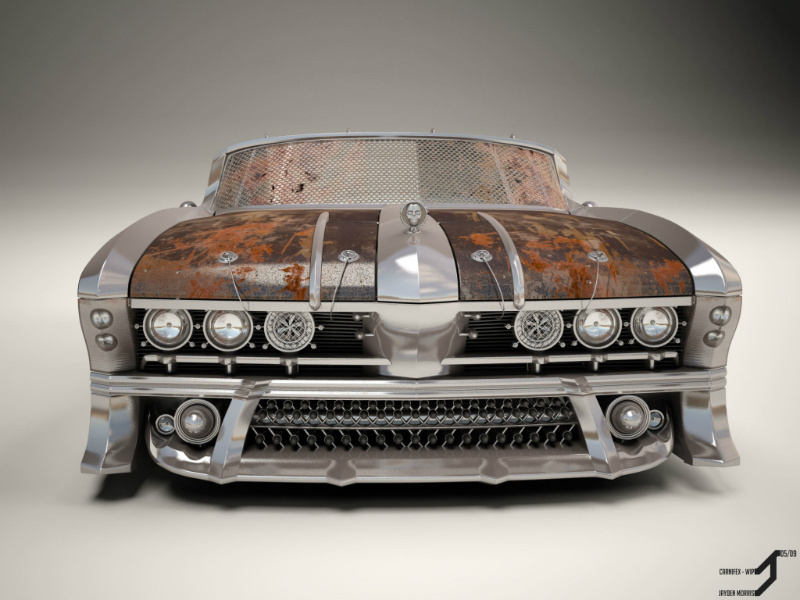 Here’s an interesting render of a rat rod. 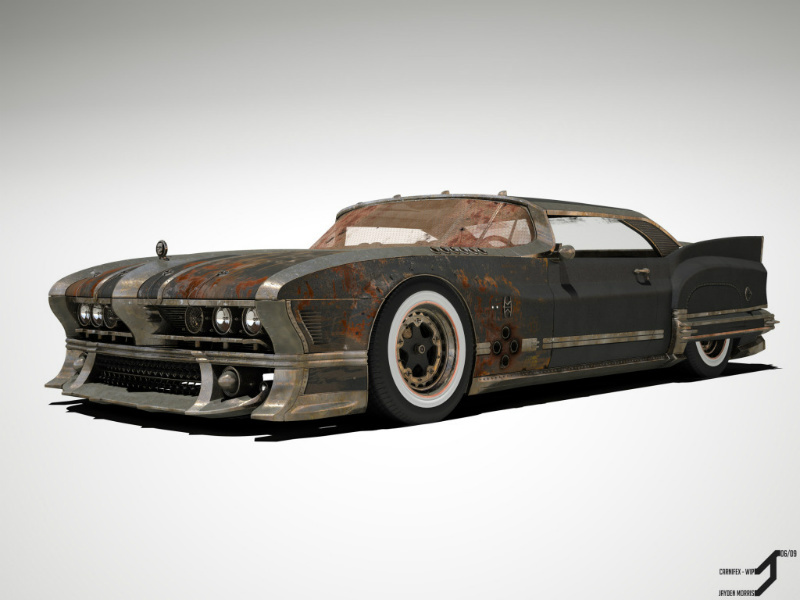 It was done by Jayden Morris and called Carnifex – Wip, but guys in forums have a better name – Chevrobuickillac. 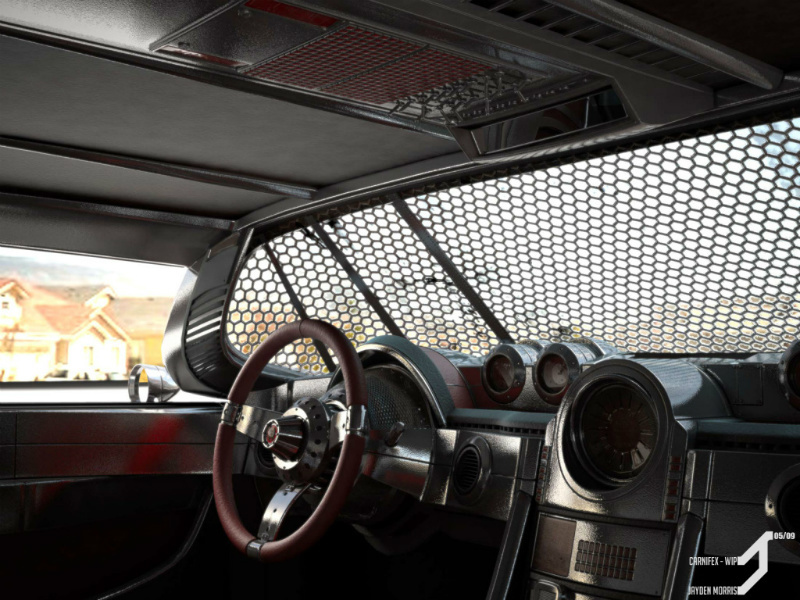 Carnifex had different development stages and lost its tale, but is is totally awesome in all mods.